Campers stay in equipped cabins that are clean and comfortable. 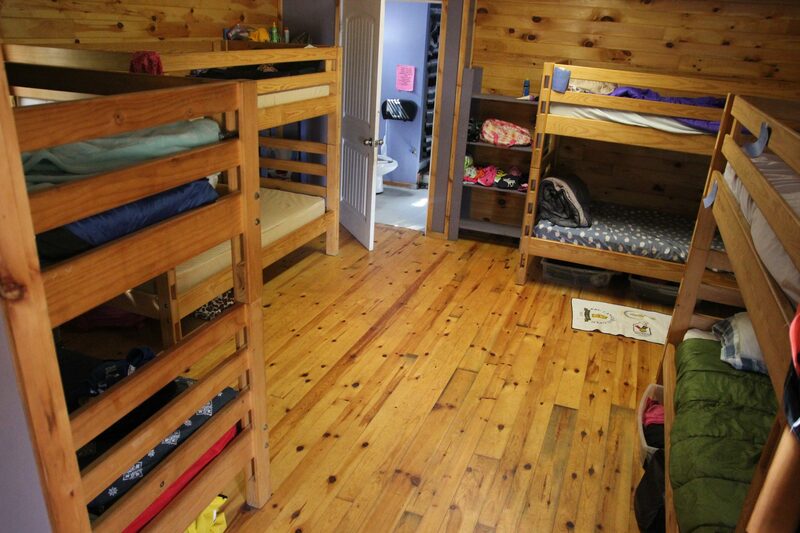 All cabins have been renovated over the years and they now all sport wood interiors and new bunk beds! 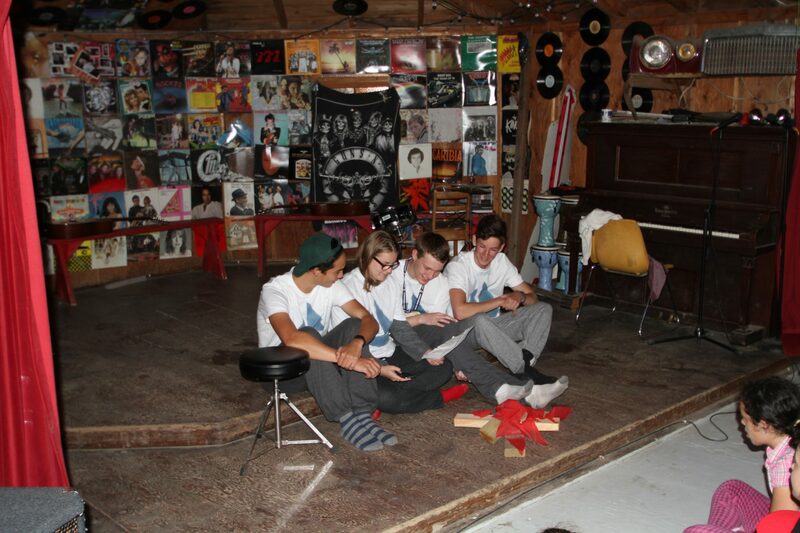 Cabins accommodate 6-15 campers, depending on age, and your camper’s counselor sleeps in the cabin in their own room. This helps provide privacy, security and comfort for all of the campers. 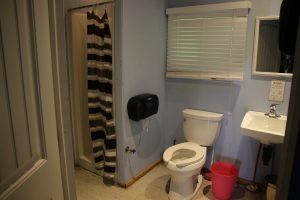 Since the washrooms are in the cabin, all campers feel more comfortable with their nighttime routines. The girls and boys cabins are separated by a field and the Rec Hall to help with privacy and comfort issues. 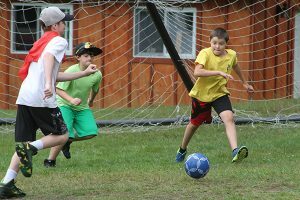 With a multi-use basketball, tennis and floor hockey court, campers can participate in a wide variety of activities. 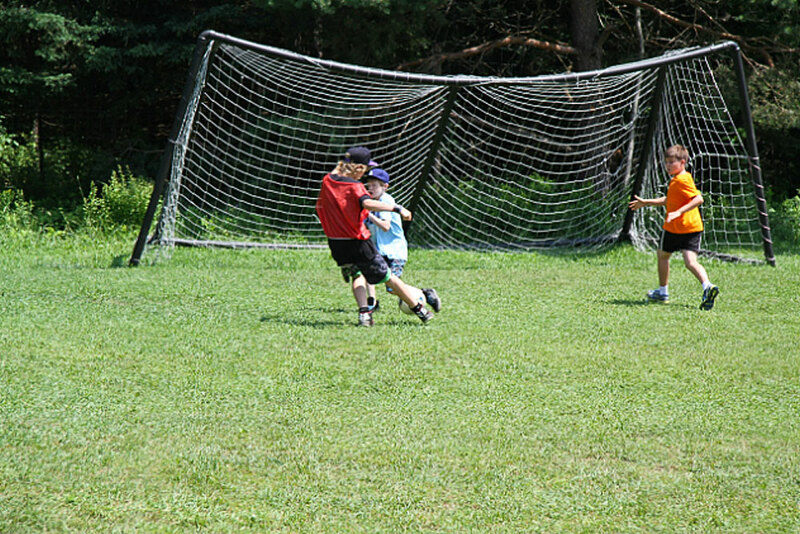 The Sports Department has a large amount equipment to provide a diverse program for all campers. 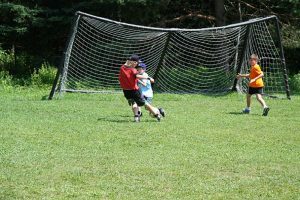 This includes soccer, baseball, basketball, tennis, lacrosse and much more. 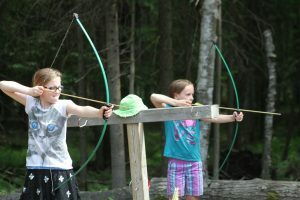 Along with those sports, we also offer archery! Our archery range is nestled away from the rest of the daily activities to provide a safe place for shooting. The Dining Hall in many ways is the heart and soul of the Camp. 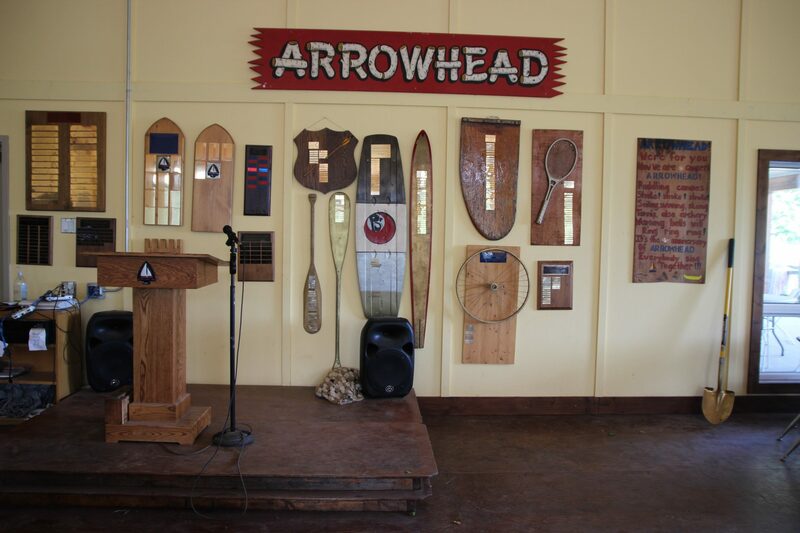 It is where the entire camp meets three times a day to enjoy excellent food and fellowship. 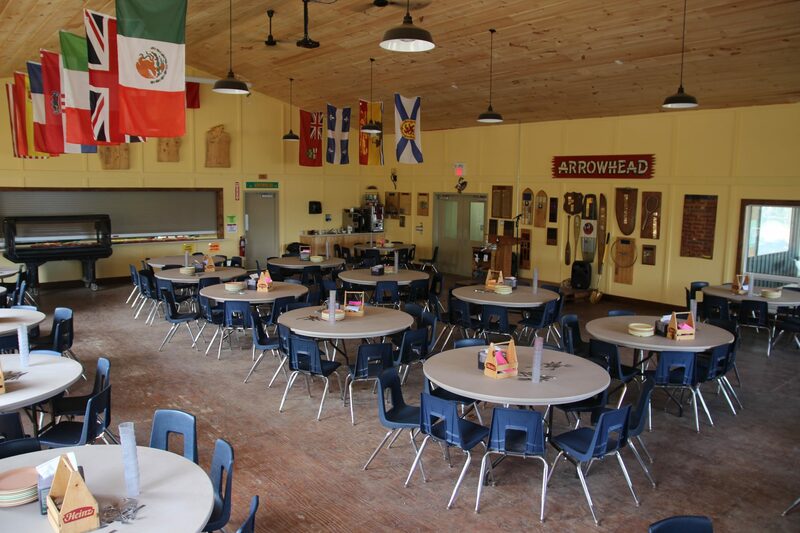 All of the meals are prepared on site by a professional team in a clean and efficient kitchen. 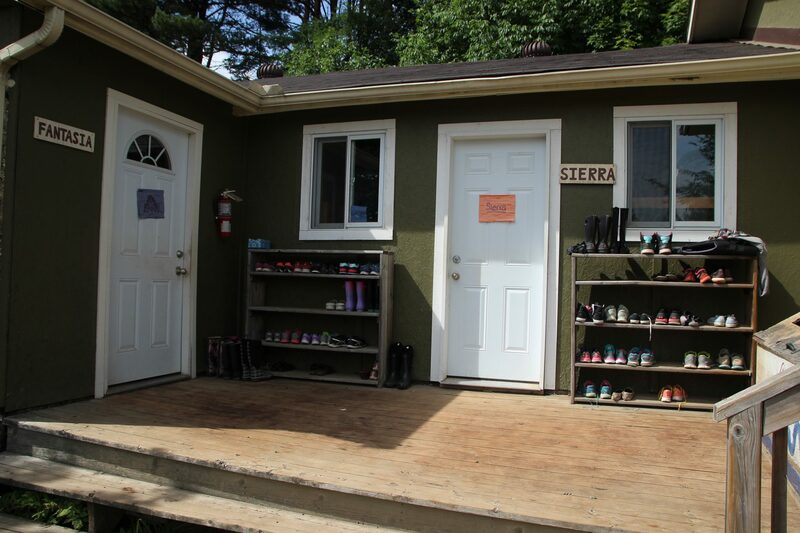 Dietary restrictions can be accommodated for as long as we are given notice prior to the campers arrival. The Rec Hall is a large indoor space that is utilized for many fun and exciting evening programs. 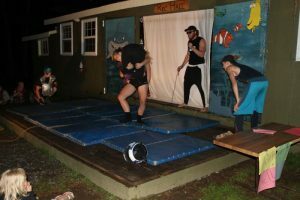 It provides the venue for our weekly dances, special events, end of camp award ceremony and slide show. 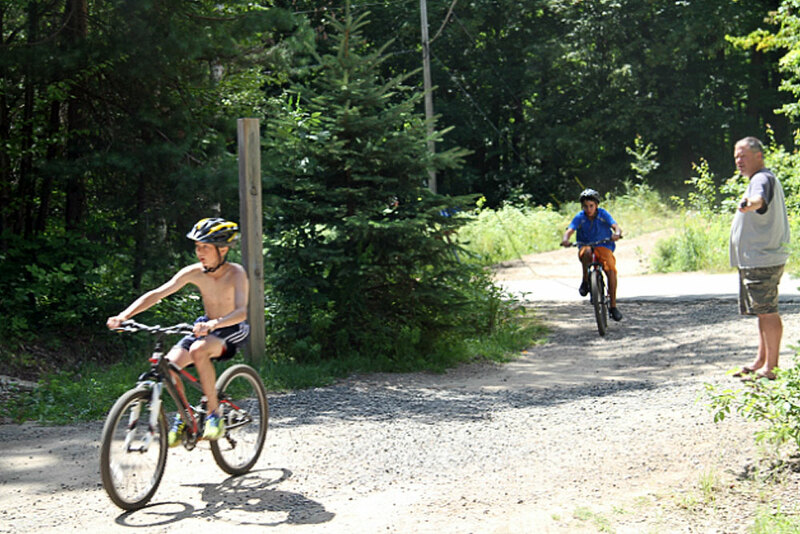 One of the most incredible features of the camp is our wide sandy beach. 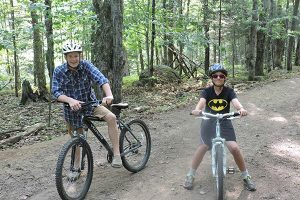 The waterfront provides the central focus of our daily activities. Hosting four activities, swimming, sailing, power sports and canoeing/kayaking, there is always something going on at the waterfront. 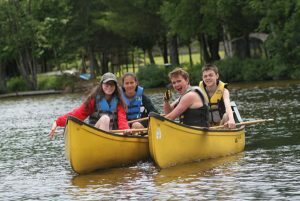 With a wide fleet of canoes, kayaks and sailboats, campers are not limited in their choice of adventure. The swimming area has a sandy bottom with a gradual increase in depth. This enables swimmers of all abilities to feel comfortable and safe. 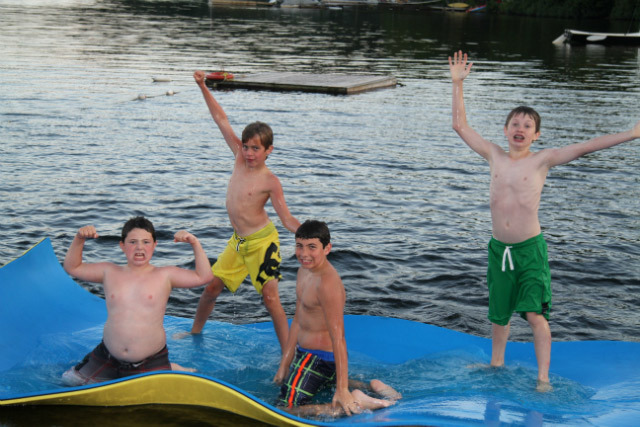 Camp has two ski boats and a wide range of wakeboards, water skis and kneeboards. Camp provides all lifejackets and paddles. 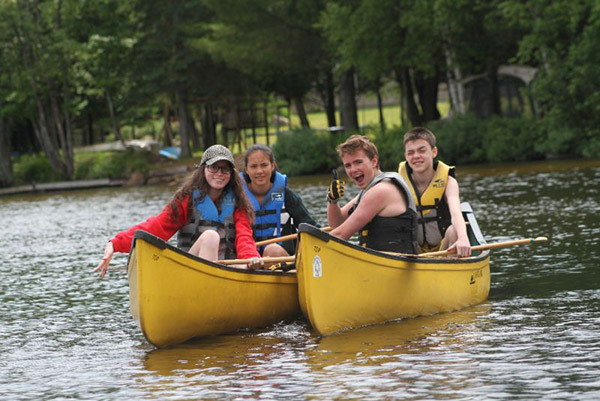 All campers and staff are required to wear a proper lifejacket or PFD while in any boat or while doing a power sport. 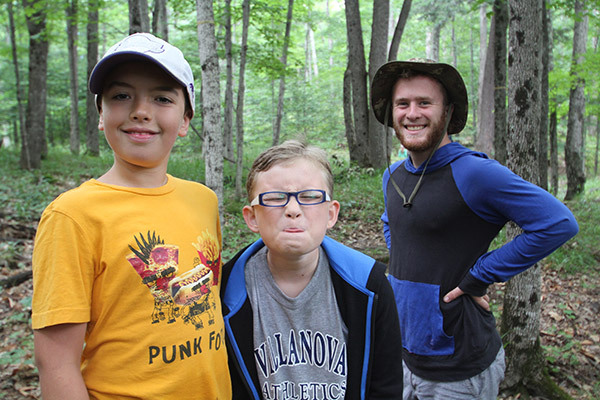 Camp is fortunate to have an amazing multi acre forest on site. 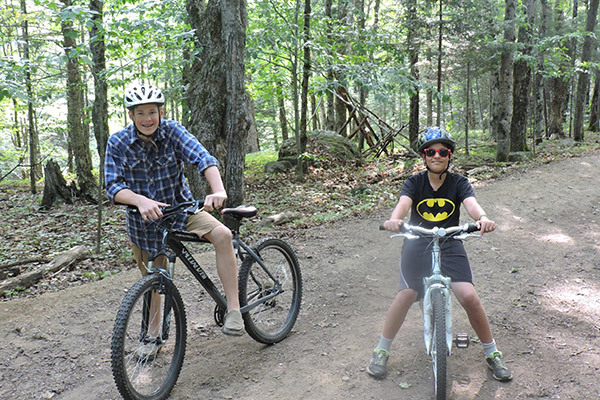 This area provides a fantastic resource for our Nature Program and the Mountain Biking Trails. 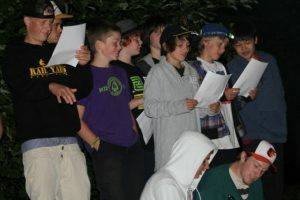 In addition we utilize the forest for many evening programs and activities.